Picking up where Part One left off, Former KLOS and KMET Host Jim Ladd is the first guest of Mark & Brian. Plenty more guests and old bits here. Then… the final goodbye. Have something to wipe your eyes with. The end of Los Angeles’ longest current running morning show. Mark Thompson and Brian Phelps came to 95.5 KLOS from “I95” WAPI Birmingham in September of 1987 and quickly took the town by storm. By 1991, they generated enough attention to gain a short-lived series on NBC. In June, Mark Thompson announced he’d be leaving the program when his contract ran out to move to North Carolina with his wife. Brian Phelps remained in negotiations with Cumulus to remain with the station and bring on a new co-host. On today’s final show, he stated that he had been unable to come to terms on a new deal and would be leaving as well. Both men will be starting podcasts with new co-hosts. I tuned into 96.9 (The Eagle)in Sacramento around 9:30 today for the first time in months hoping to catch Mark and Brian. When I didn’t hear them, I got curious and asked one of my friends about it and they told me that they retired! I’ve listened to their show off and on for about 10 years. They’ve always entertained me and made me laugh when I was down and when I wasn’t. They were one-in-a-million as far as morning show mornings shows go. All good things have to come to an end, but I’m glad they were there in the first place. Thanks Mark and Brian, you will be missed! My radio went on the fritz in July. I am glad it did. It is now February. I moved back to LA in 2002 after eight years back East and had been a KLOS listener prior. So of course I tuned in again. 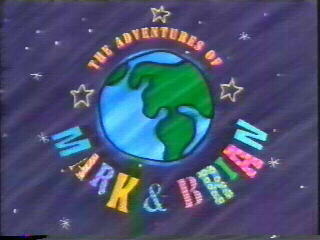 I had never heard Mark and Brian, but was instantly hooked; gracious, anti yuppie quasai-hicks that invited listeners their casual conversation and rocker lifestyle. Funny antics and infectious rapport. I often ran to my car to hear their take on a weekend event. Frankly their show has been my lifeline in LA as I have not regained my friends or former lifestyle. I just tuned into KLOS after renting a car as mine would not start. Some raspy monotoned male garbled something, not the familiar chortle of Brian (or Mark?) I hoped they were on vacation. I Googled to find them gone. I feared this day would come. They cheered me, made my loneliness tolerable, discussed news and information no one else touched on. I hope they reconsider coming back, they are needed. I do wonder why the departure to No. Carolina? Was that not just a vacation home? What about the daily sojourn to the gazebo? The concerts and Xmas show? The fans? Did something personal happen? Was it unmet contract demands? If so, let me talk to management!